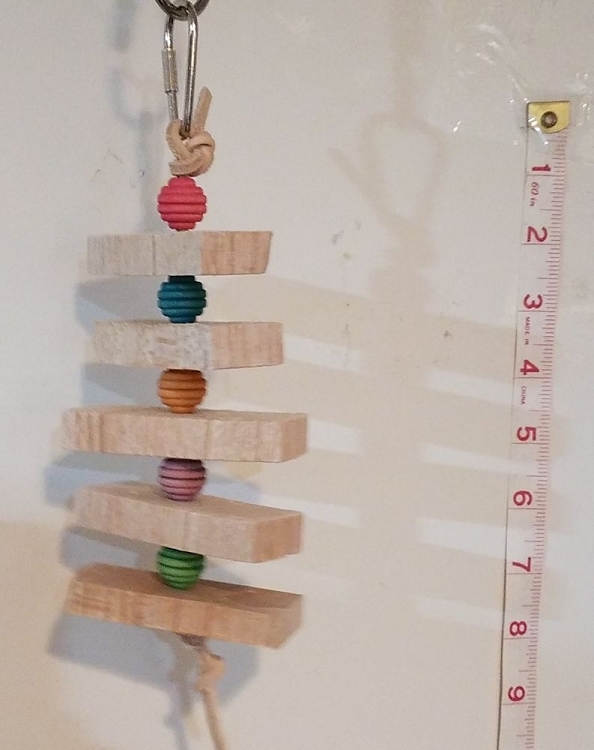 Five natural balsa pieces, each about 3" by 1" wide by 1/2" thick dangle on 1/8" leather strip, with colorful grooved beads. 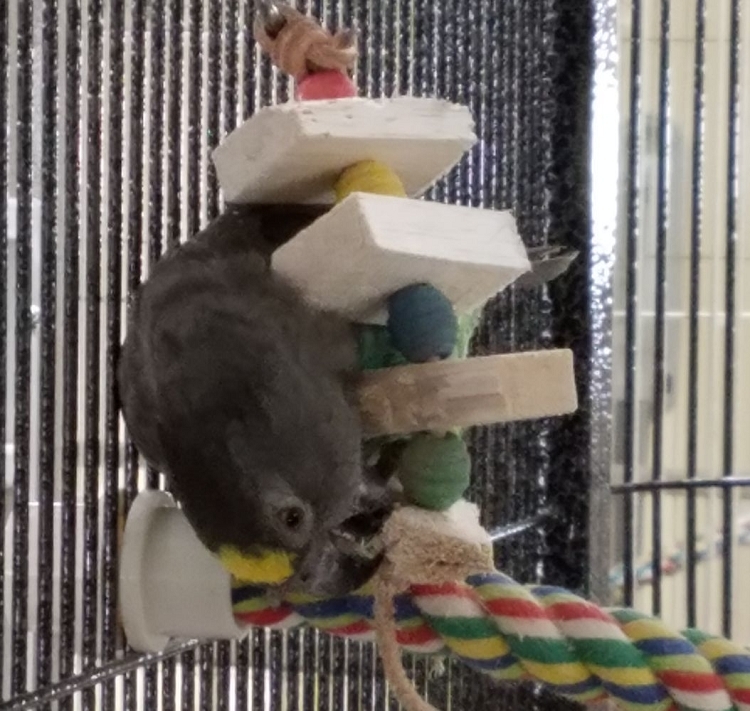 Great chew toy for small and medium birds. Standard with nickel pear link, stainless quick link optional. About 9" long..
My African demolished it in quick order. Only lasted a day. Wish you could find a wood that lasted longer. Expensive when you have multiple birds to entertain.